Novel crystalline polymorphic forms (I and II) and an amorphous form of pitavastatin, useful for treating hyperlipidemia and mixed dyslipidemia. Also claims a method for preparing the crystalline and amorphous forms of pitavastatin. In January 2016, Newport Premium™ reported that Lupin holds an active US DMF for pitavastatin calcium since July 2013. Nissan Chemical Industries and licensee Kowa, with sub-licensees Sankyo, Eli Lilly, Esteve, JW Pharmaceutical, Recordati, Laboratorios Delta and Zydus-Cadila, have developed and launched pitavastatin. WO2014203045, claiming a process for preparing an intermediate useful in the synthesis of statins (eg pitavastatin). Pitavastatin is a cholesterol lowering agent of the class of HMG-CoA reductase inhibitor. The HMG-CoA reductase enzyme catalyzes the conversions of HMG- CoA to mevalonate. Inhibitors of HMG-CoA reductase are commonly referred to as “statins.” Statins are therapeutically effective drugs used for reducing low density lipoprotein (LDL) particle concentration in the blood stream of patients at risk for cardiovascular disease. Pitavastatin and its pharmaceutically acceptable salts are described in US 5,753,675 patent and US 5,856,336 patent, respectively. (1993) vol. 34, pages 8267-8270) and Takahashi et al (Bull. Chem. Soc. Japan (1995) Vol. 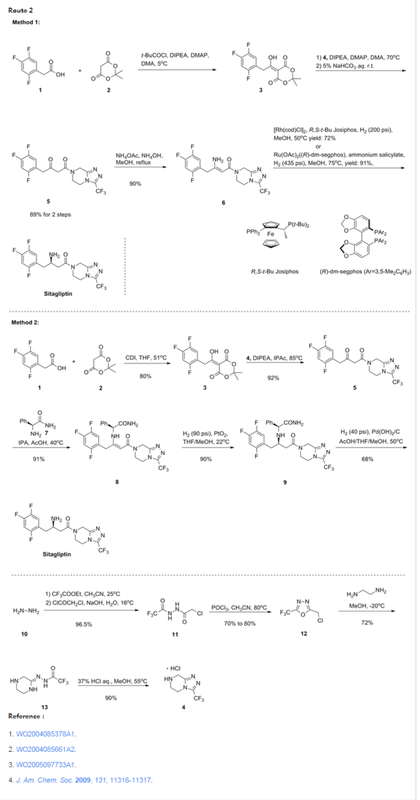 68, 2649-2656) describe processes for preparation of Pitavastatin. US 5,872,130 patent discloses sodium salt of Pitavastatin. This patent, however, is silent about the solid state form of Pitavastatin Sodium. It is generally known in the art that active pharmaceutical ingredients frequently do not exhibit the range of physical properties that makes them directly suitable for development. One of the approaches that is used to modify the characteristics of drug substances is to employ a salt form of the substance, since salts enable one to modify aqueous solubility, dissolution rate, solution pH, crystal form, hygroscopicity, chemical stability, melting point and even mechanical properties. The beneficial aspects of using salt forms of active pharmaceutical ingredients are well known and represent one of the means to increase the degree of solubility of otherwise intractable substances and to increase bioavailability. Although the known salts of Pitavastatin like sodium, potassium, magnesium, calcium etc. and their polymorphic forms may address some of the deficiencies in terms of formulated product and its manufacturability. There remains a need for yet further improvement in these properties as well as improvements in other properties such as flowability, and solubility. Polymorphism is a known phenomenon among pharmaceutical substances. It is commonly defined as the ability of any substance to exist in two or more crystalline phases that have a different arrangement and/or conformation of the molecules in the crystal lattice. Different polymorphic forms of the same pharmaceutically active moiety also differ in their physical properties such as melting point, solubility, chemical reactivity, etc. These properties may also appreciably influence pharmaceutical properties such as dissolution rate and bioavailability. Further, the discovery of new polymorphic forms and solvates of an active pharmaceutical ingredient provides broader scope to a formulation scientist for formulation optimization, for example by providing a product with different properties, e.g., better processing or handling characteristics, improved dissolution profile, or improved shelf-life. For at least these reasons, there is a need for polymorphs of Pitavastatin salts such as Pitavastatin sodium. New polymorphic forms and hydrates and/or solvates of a pharmaceutically acceptable salt of Pitavastatin can also provide an opportunity to improve the performance characteristics of a pharmaceutical product. 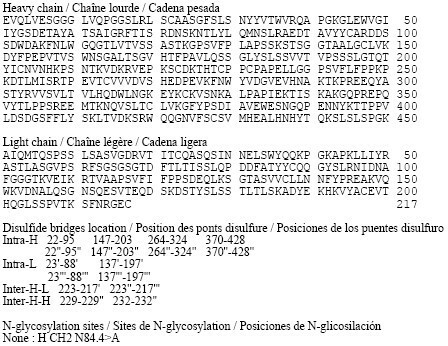 Therefore, there is a scope to prepare novel polymorphic forms of Pitavastatin sodium and hydrates and/or solvates. A mixture of 40.0 gm Pitavastatin acid and 120 ml water was cooled to 15-20 °C temperature. Thereafter aqueous solution of sodium hydroxide (4.0 gm) in water (20 ml) was added to the reaction mixture. The reaction mixture was stirred for 30-45 min at 15-20 °C temperature. Ethyl acetate (80ml) was added into the reaction mixture at 15-20 °C temperature, stirred for 15-20 min and the layers were separated. The aqueous layer was filtered and acetonitrile (1200 ml) was gradually added to the aqueous layer under stirring till the precipitation was completed. The reaction mixture was cooled to 5-8 °C temperature and stirred for 2-3 hours at 5-8 °C temperature. The precipitated solid was filtered, washed with acetonitrile (40ml) and dried at 45-50 °C temperature under vacuum for 10-12 hours to afford the title compound (28.0 gm). A mixture of 40.0 gm of Pitavastatin acid and 120 ml of water was cooled to 15-20°C temperature under stirring. Thereafter aqueous solution of sodium hydroxide (4.0 gm) in water (20 ml) was added to the reaction mixture. The reaction mixture was stirred for 30-45 min at 15-20 °C temperature. Ethyl acetate (80ml) was added to the reaction mixture at 15-20 °C temperature, stirred for 15-20 min and the layers were separated. The aqueous layer was filtered and acetonitrile (1200 ml) was gradually added to the aqueous layer under stirring till the precipitation was completed. The reaction mixture was cooled to 5-8 °C temperature and stirred for 2-3 hours at 5-8 °C temperature. The precipitated solid was filtered, washed with acetonitrile (40ml) and dried at 45-50 °C temperature under vacuum for 10-12 hours and kept in a petri dish at 25-30 °C and 60 ± 5 RH (relative humidity) for 18-24 hours to afford the title compound (31.6 gm). Pitavastatin sodium (3.0 gm) and ethanol (60 ml) were taken in a round bottomed flask at 25-30 °C temperature. The reaction mixture was filtered and the solvent was distilled off on rotatory evaporator under vacuum maintaining bath temperature at 45-50 °C temperature. Thereafter the reaction mixture was degassed under vacuum for 2-3 hours to afford the title compound (2.8gm). By DR ANTHONY MELVIN CRASTO Ph.D in PATENT, PATENTS, POLYMORPH on January 20, 2016 .